Steven Kotler was forty years old and facing an existential crisis-which made him not too different from just about every other middle-aged guy in Los Angeles. Then he met Joy, a woman devoted to the cause of canine rescue. "Love me, love my dogs," was her rule, and not having any better ideas, Steven took it to heart. Together with their pack of eight dogs-then fifteen dogs, then twenty-five dogs, then, well, they lost count-Steven and Joy bought a tiny farm in a tiny town in rural New Mexico and started the Rancho de Chihuahua, a sanctuary for dogs with special needs. While dog rescue is one of the largest underground movements in America, it is also one of the least understood. 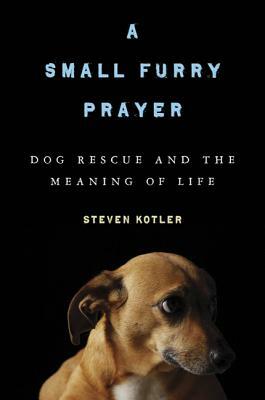 This insider look at the cult and culture of dog rescue begins with Kotler's personal experience working with an ever-peculiar pack of dogs and becomes a much deeper investigation into exactly what it means to devote one's life to the furry and the four-legged. Along the way, Kotler combs through every aspect of canine-human relations, from human's long history with dogs through brand new research into the neuroscience of canine companionship, in the end discovering why living in a world of dogs may be the best way to uncover the truth about what it really means to be human. STEVEN KOTLER is a New York Times bestselling author, award-winning journalist, and Founder and Executive Director of the Flow Research Collective. His books include Stealing Fire, The Rise of Superman, West of Jesus, andA Small Furry Prayer. His work has been translated into over 40 languages and appeared in over 100 publications, including the New York Times Magazine, Wall Street Journal, TIME, Wired, Atlantic Monthly, andForbes.